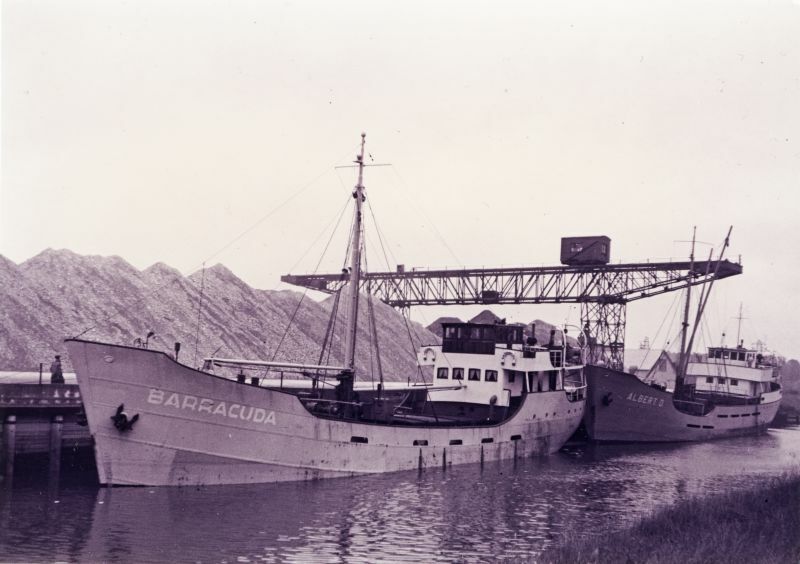 Dutch coasters BARRACUDA and ALBERT D at the Moler Works at Colchester Hythe. The works manufactured fire bricks and a number of Dutch coasters were regular visitors bringing in clay from Denmark. ALBERT D 349 tons built 1950 - became FRISIA - 1956, UNITED JOY 1975, MAJID YAD 1977. Deleted from register 1998. Over the years she was registered in Rotterdam, Harlingen, Port Moresby, Singapore, Panama and Abadan. Photograph by Robert Gore, but noted to have come from Philip Kershaw.